Check out Certified Master Groomer Melissa Verplank's discussion on the value of trade shows as a source of professional development and networking. A self-professed "trade show junkie," Melissa will be one of the guest speakers at the Atlanta Pet Fair slated for Thursday, March 7th through March 10th, 2019. Certified Master Groomer Melissa Verplank discusses the power of 10 simple best business practices that will command client respect and build your business. In this video, Master Groomer and savvy entrepreneur Melissa Verplank discusses the importance of building a trusting relationship with your clientele as the foundation of a thriving salon. Want more tips on increasing your client retention rate? Check out another article on this topic here. Would you like to train new staff with Melissa's curriculum? Check out Paragon's Salon Distance Learning packages here. Melissa Verplank is a Certified Master Stylist with over 30 years experience in the professional pet grooming industry. 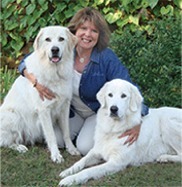 In 2009, she operated three pet-related companies, a luxury boarding facility called hiskers Resort & Pet Spa and two companies that are involved with educating the professional pet groomer and stylist; The Paragon School of Pet Grooming, Inc. and White Dog Enterprises, Inc as well as her products and services web site, www.MelissaVerplank.com. In 2010 Melissa expanded her product line, with training to help business owners to “grow your own groomers” and she premiered an extensive, unique streaming video web site for groomers.